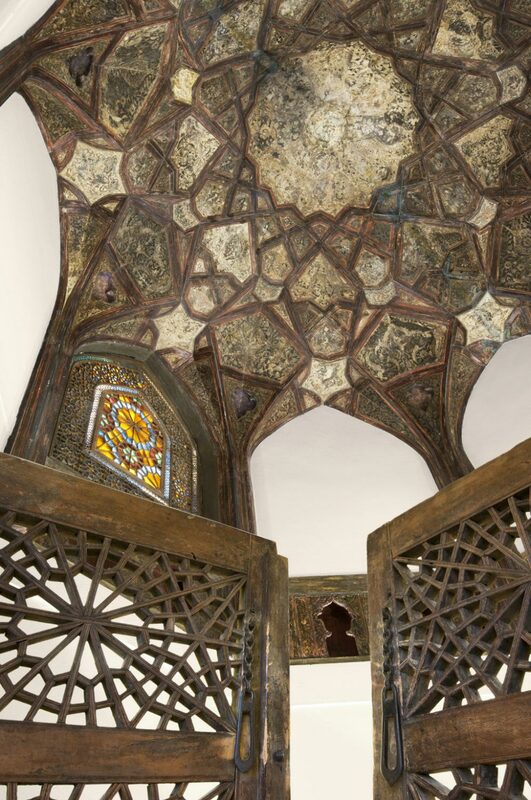 This cubiculum (small room) was originally part of a larger residential complex (manzil) built in the early seventeenth century near Isfahan, Iran, then the capital of the Safavid Empire. 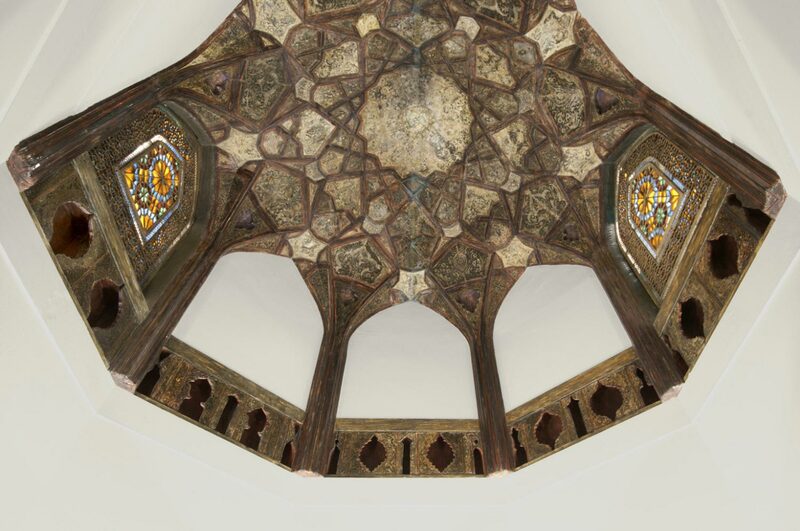 Since it was acquired by the Museum in 1930, the cubiculum has been associated with the patronage of the Safavid ruler Shah ‘Abbas I (reigned 1587–1629), but recent research suggests it might equally have come from one of the scores of houses in and around Isfahan built by members of Shah ‘Abbas’s court. Many of these mansions are no longer standing, a result of the Afghan invasion of Isfahan in 1722 and centuries of neglect. Some were even destroyed by royal command so that the raw materials could be used for new architectural projects. 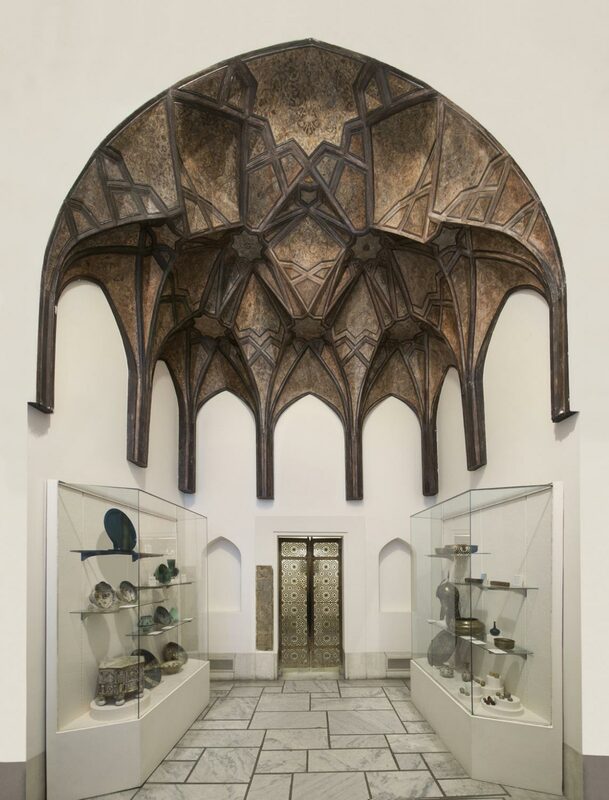 The Museum’s cubiculum is significant not only for what it tells us about this important group of buildings but also because it is the only known example of seventeenth-century Safavid domestic architecture outside Iran. 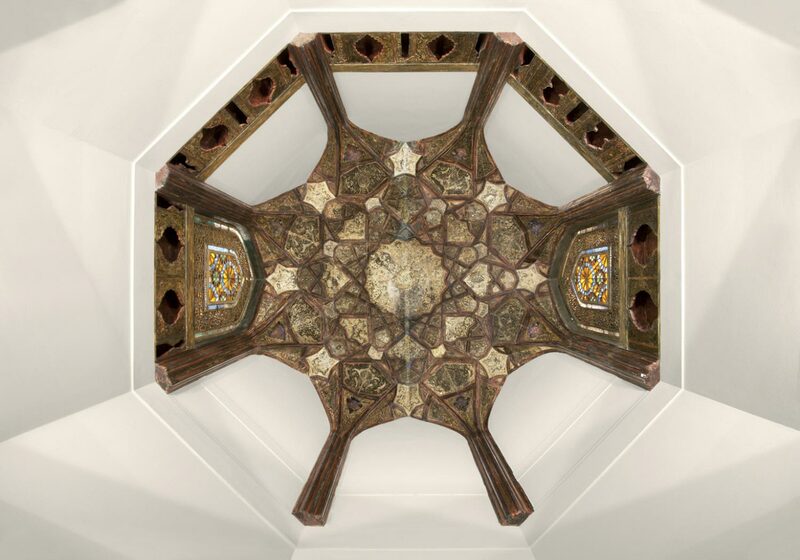 The elaborate stucco projections covering the cubiculum’s ceiling and the vault of its antechamber are known as muqarnas. 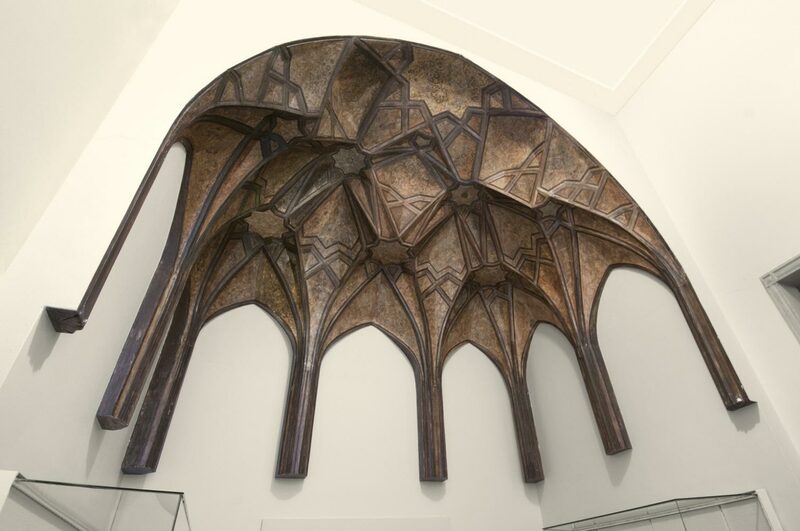 This honeycomb-like structure actually hangs from and hides an underlying, supporting framework. 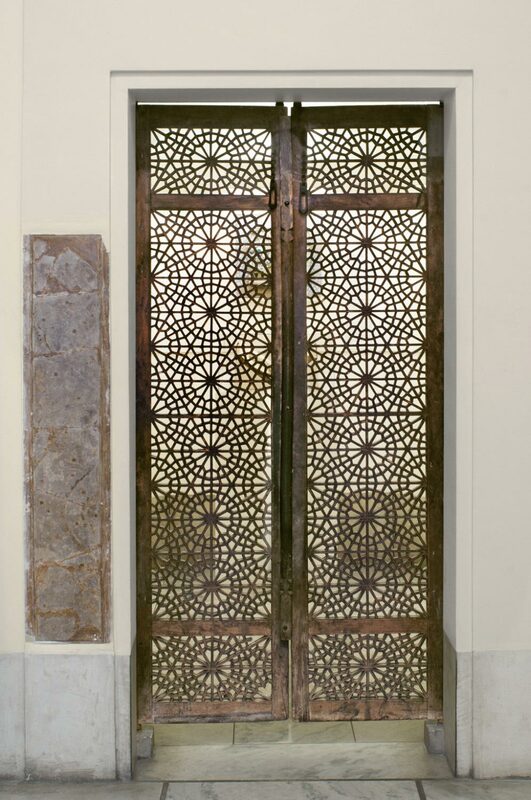 Geometric, floral, and animal forms embellish the smooth surface of the muqarnas. 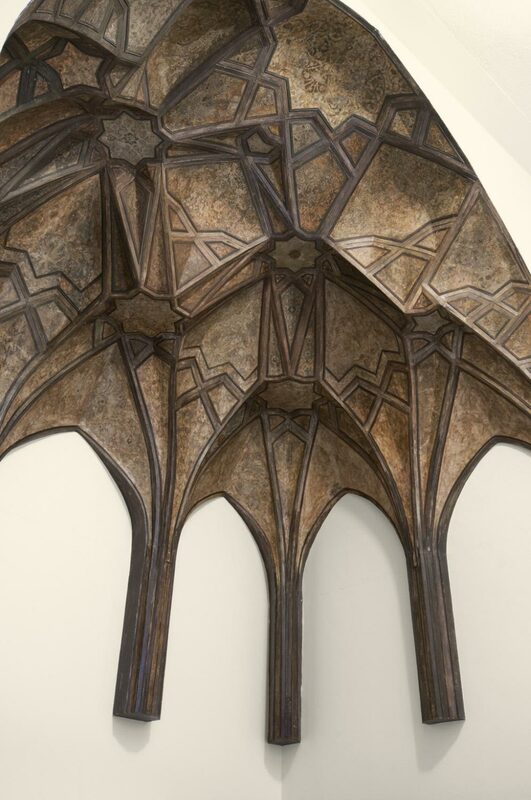 In the antechamber, the intricate designs, which include scrolling arabesques and images of lions and birds, were carved in a thin layer of moist stucco. 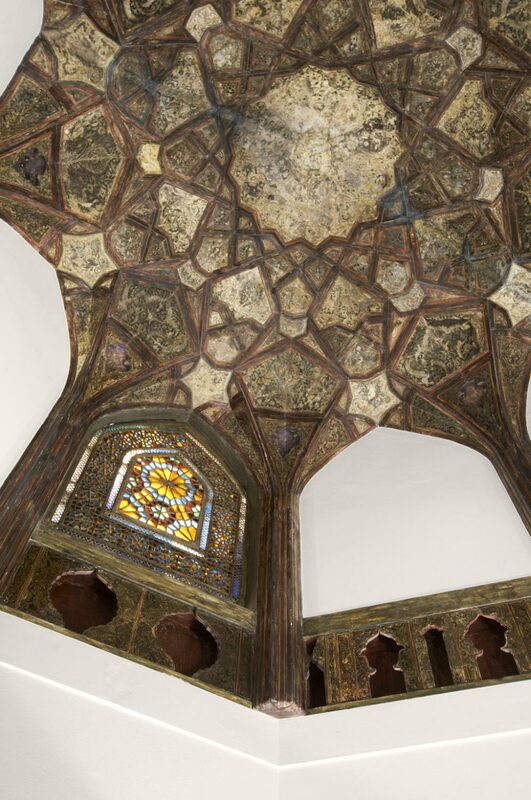 Plaster-carving, known in Persian as gachbori, was combined with painted decoration in the cubiculum, producing a kaleidoscope of colors and patterns. The niches below the ceiling were used to display ceramic and glass bottles. Archival records indicate that the original walls of the cubiculum were also once adorned with Persian inscriptions, probably poetic in content.